It’s hard to believe, but it’s already 2015—and that means you have just four short months to prepare programming proposals, which are due May 15. Sirens is designed specifically as a space where you can discuss fantasy literature and its remarkable women. We hear you asking questions and having discussions, so we know you have something to say. 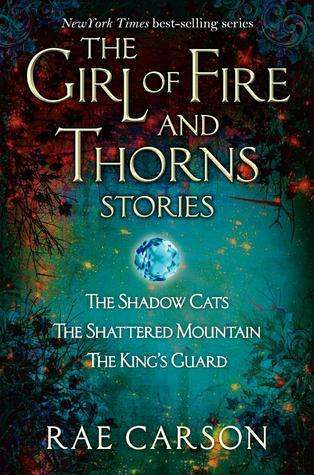 It’s particularly great when it’s something related to women authors, characters, or professionals, or when it’s related to the Sirens theme for the year (this year, rebels and revolutionaries!). We hope you also know that you can discuss fantasy more generally, as well as all topics that always—should, must—come up when we take a look at what we’re reading and writing, like gender, sexuality, diversity and intersectionality, politics, economics, business, art… We could go on, but that’s where you come in. Most programming for Sirens is conceived and presented by attendees. You create it, you submit it, and when approved by our vetting board, you present it. We’re able to support presentations in a number of styles; you can see more about what those are on the guidelines page of the Sirens website. While you’re pondering topics and presentation styles, please feel free to check out the entire programming section of the Sirens website, our 2015 suggested reading list, and the conference archives for inspiration. We’ll be hosting brainstorming Mondays on our Twitter account (#SirensBrainstormMonday), and we hope you’ll use that medium to throw out ideas or find collaborators. Keep an eye out here for more helpful preparation information in the coming months. We ask you to submit proposals so that we can get an idea of what we need to plan for at the conference—and to help us get a sense of what people want to discuss. We hope the proposal process also helps you organize your thoughts! We have a vetting board choose presentations from among the proposals you make. The more, the merrier! That said, we’d love for you to focus on the proposal or two that’s closest to your heart; not only does the vetting board like to see a well thought-through proposal, we like to see lots of people presenting once or twice, instead of once person presenting a dozen times. If you’re saying oh, I couldn’t, we encourage you to say yes, I can! If you have more questions than answers, maybe you’d make a great moderator for a panel or roundtable discussion. If you feel more comfortable reading from prepared notes, consider a paper. If you have resources or a skill to share, consider a workshop or an afternoon class. We’re here to help! Reach us at (programming at sirensconference.org). You’ll probably see us around Facebook a little less in the coming months; we’ve discovered that you don’t actually see our posts unless we pay Facebook to show them to you. And speaking of Facebook, Mark Zuckerberg is starting a book club, but did you know that Sirens conference founder Amy has one—that’s much more fun—on Goodreads? Come over to read with Amy about rebels and revolutionaries! 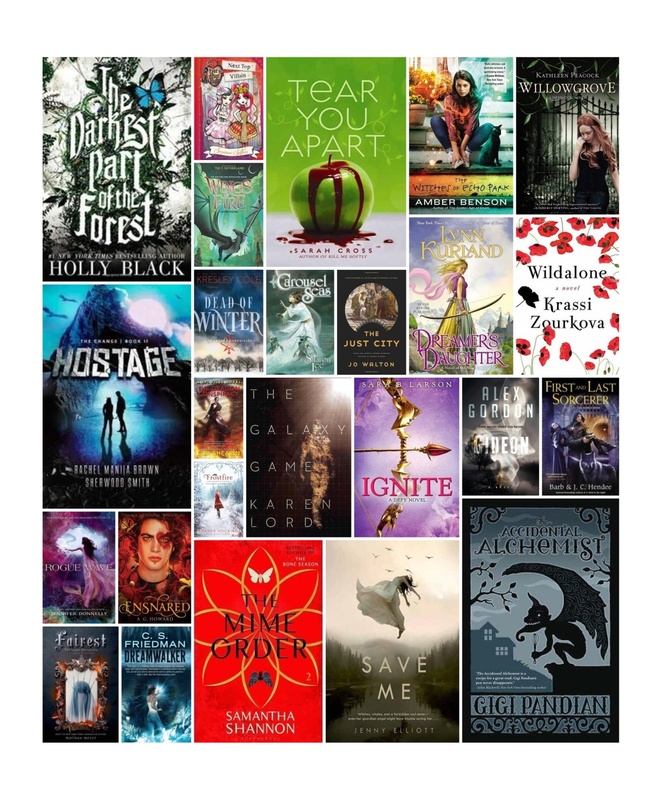 Within our focus on fantastic women, each year Sirens features a fantasy-related theme—and in 2015, that theme is “rebels and revolutionaries.” In fantasy literature, women are revolutionary. They are queens, soldiers, assassins, and monsters. They are clever, kind, bold, and daring. They adventure, they conjure, they rule, and they rise. These diverse women inhabit worlds different from our own, where women authors have given them extraordinary opportunities: to grow, to lead, to fight, and sometimes to save the world. To further our discussion, we have invited three guests of honor whose work inspires us to consider acts of rebellion, large and small. This month, we’d like to highlight Rae Carson. Rae Carson’s debut novel, The Girl of Fire and Thorns, was a finalist for the William C. Morris YA Award and the Andre Norton Award, the winner of the Ohioana Book Award for Young Adult Literature, and selected as 2012 Top Ten Best Fiction for Young Adults by Young Adult Library Services Association. 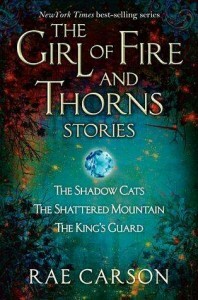 Rae followed The Girl of Fire and Thorns with the rest of Elisa’s story in The Crown of Embers and The Bitter Kingdom, and has published The Girl of Fire and Thorns Stories, which contains the three novellas: The Shadow Cats, The Shattered Mountain, and The King’s Guard. 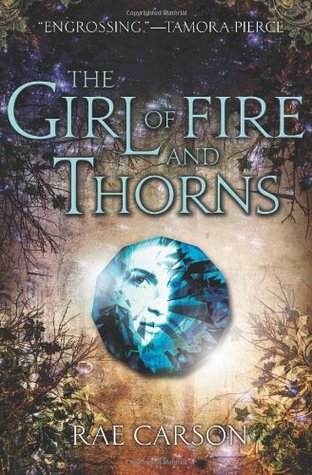 The Girl of Fire and Thorns series was a New York Times bestseller. Forthcoming for Rae is Walk on Earth a Stranger, volume one of a new series, which will be released in fall 2015. For more information about Rae, please visit Rae’s website or Twitter. The 2014 Cybils Awards finalists lists. Tangled, Brave, and Frozen All Made the Same Critical Mistake. *Have something like this on your mind? Why not turn it into a paper for Sirens? If you have a piece of just a bit longer than this one, you’d easily have a 25-minute presentation! “Of the Death of Kings,” Rosamund Hodge. Summer of the Mariposas by Guadalupe Garcia McCall is included in The Spirit of Texas Reading Program for high school. Miriam Weinberg is now editor at Tor. Congratulations! 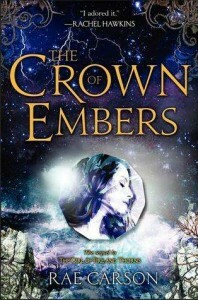 The Sirens Review Squad is made up of volunteer readers who review books that they would recommend to others interested in women in fantasy. If you think you could contribute a book review of at least 250 words sometime during the next year, please visit the volunteer system and on the third page, where you are offered different volunteer team choices, indicate that you’d like to be a book reviewer in the section that says “Please tell us of any specific position you are interested in.” Review squad volunteering is very flexible; we simply ask that you share information about books you’ve enjoyed. You can contribute once or on an ongoing basis, and on a schedule that works for you. The House of Night is the first and oldest of the main houses of the Derai Alliance, which stands in opposition to the Darkswarm. 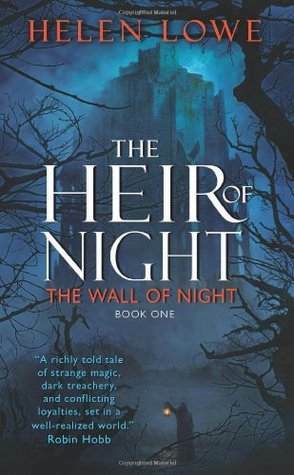 An old prophecy reinforces the importance of the House of Night, but the members of the house have dwindled to the Earl and his Heir. 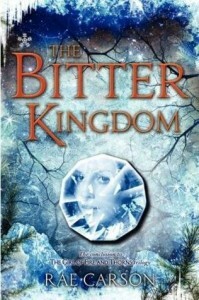 The book opens with Malian exploring the Old Keep, much against rules and expectations. We are quickly introduced to this volume’s cast of characters: Malian, Heir of Night, and her stern father Tasarion, the Earl; Steward Nhairin; Honor Captain Asantir, the minstrel Haimyr the Golden; and a pair of heralds, Tarathan and Jehane Mor, from far away. Added into the mix, ancient heroes and strange powers from the Gate of Dreams seem to take undue interest in Malian and her friend Kalan. The Derai Alliance fights a long-standing war of attrition with the mysterious, malign Darkspawn. This has led to a warrior culture that is highly insular, xenophobic, and divided against itself. Given the prophecy, it seems that the Darkspawn powers have opted to murder the Heir of Night as its first step in bringing down the entire House. The story careens through multiple action sequences, which while exciting, truly serve to further the reader’s understanding of the many, many troubles facing the Derai, the House of Night, and Malian herself.